financial planning and wealth management firm based in London. We are independently owned, so there is no underlying agenda. We have no products of our own on which to advise. We shun the latest investment ‘fads’ and will ignore products that have attractive sales pitches but won’t be good for our clients in the long run. We like to think we are refreshingly different – that our client relationships are all about trusted and valued advice, never about sales. Our job is to ensure the long-term success of our clients. That’s much more valuable to us than a quick sale. The standard we set is: we genuinely want your decision to work with us to be one of the best decisions of your life. Ben set up Kennedy Black Wealth Management in 2009 after a decade of working in the City as an investment banker (in the Debt Capital Markets team). He built the business from scratch, and has achieved an impressive list of accolades along the way. Ben is one of the most qualified advisers in the UK, being one of only a handful qualified to QCF level 7. He has a law degree (2.1) from the University of Birmingham and a post-graduate degree (with distinction) in finance from Birkbeck College, the University of London. He is a Chartered Financial Planner, the gold standard for financial advisers in the UK. In his spare time, Ben enjoys keeping active: going to the gym, playing squash and snowboarding. Sadly, his rugby-playing days are firmly behind him. He lives in Beaconsfield with his wife and two young boys. Alex joined us, in December 2017, after more than thirteen years at Société Générale. Alex is responsible for the smooth running of our office. Alex has an honours degree in Modern Languages from the University of Bath and is fluent in French and German. Stacey joined us at the start of 2019, with three years’ experience of working for an IFA in South Africa and a year working for another IFA in London. She particularly enjoys the research that goes into an investment portfolio. Stacey achieved her FSB level 1 and level 2 qualifications while in South Africa and is now in the process of taking R01 and working towards her Diploma in the UK. Stacey originally hails from Johannesburg and, in her spare time, enjoys horse riding and travelling. "The attention to detail that I've seen Kennedy Black provide to their clients, time and time again, is outstanding. Their comprehensive financial planning service underpins the reasons to help clients make well-informed investment decisions. Their regularly reviewed investment analysis process takes into account the client's lifelong objectives and delivers. Their service is a wonderful precedent to other aspiring planners." "Ben’s assessment of my future financial needs and attitude to investment risk was conducted in a very clear and professional manner and demonstrated his mastery of retirement financial planning. Ben's explanation of Kennedy Black’s investment philosophy, supported by detailed historical financial investment performance data gave me confidence that my future income needs would be met. All verbal discussions have been confirmed in writing and at no time have I had to seek clarification of what was discussed and agreed. 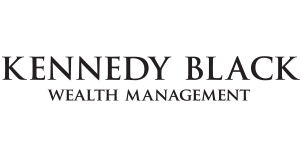 The performance of my portfolio invested by Kennedy Black has exceeded the projections based on my assessed risk level, each year for the past 5 years." "Having dealt with Ben for nearly 10 years I've found him to be professional, courteous, diligent and a great planner. I have recommended him to many clients over the years." "Ben provides a top-notch service and it is a pleasure working with him. His advice has always been spot on and I have been very impressed with his flexibility and willingness to make himself available. His advice is thorough and demonstrates that he has listened to and understood your financial goals. I am very pleased with the service I have received and would not hesitate to recommend him." Our clients’ interests come first. Always. We promise to be open, fair and transparent at all times. 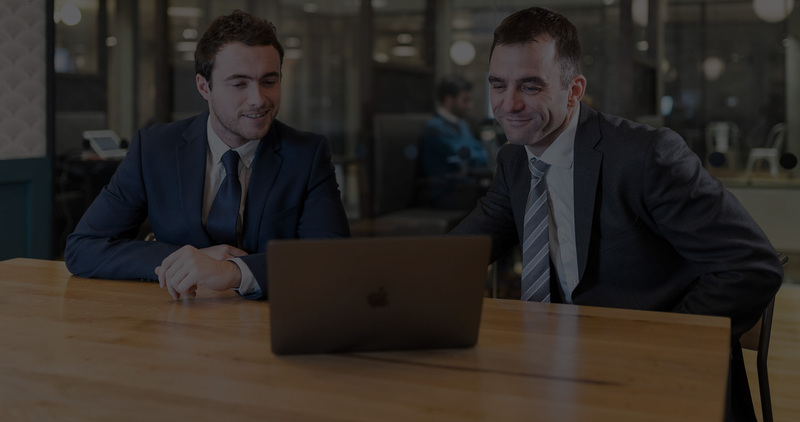 Before all new business, you will receive an engagement letter setting out the scope of our work and what fees will apply (in pounds and pence). We aim to deliver a first-class service to our clients. We try to use the latest technology to deliver the best possible service to our clients. Yet we are paranoid about data security. We want to build life-long relationships with clients and their families. That means we feel accountable for the advice we deliver, not just now but many decades in the future.